Firstly, who is the enigmatic Gost? What can you tell us, in a nutshell about your sound? Gost is the physical vessel for the one called Baalberith. The bringer of death and purveyor of truth. It’s been almost a year since the release of S/T, what’s the near future for Gost like? Are you planning any tours or new LP/EP releases? My first LP “Behemoth” will be released very soon on Blood Music as a 12” vinyl! I have a few shows planned this year that I will announce as they are confirmed. What helps you draw inspiration, and in terms of other electronic artists? I draw much inspiration from movies from my childhood. Halloween, A Nightmare on Elm Street, Friday the 13th, Texas Chainsaw Massacre etc. I am heavily influenced by Danger, Justice, Sebastian and the like. Would you consider adding vocals to any of your tracks? Yes, there will actually be vocals featured on a track from my upcoming LP! You’ve recently produced a piece of music for the movie trailer ‘The House of Profane’, is that something you intended to get into? Do you have any movie scoring plans in the works? 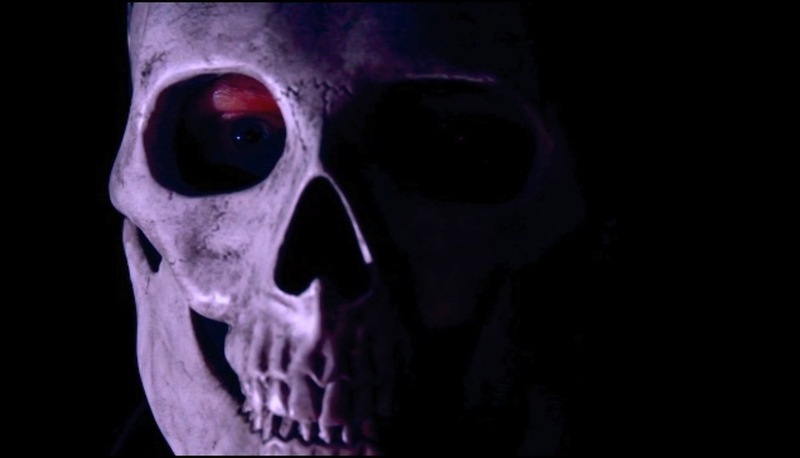 What does the skull imagery mean to you? I grew up loving 80s slasher films and always thought the skull face would make a great slasher mask. Also a lot of my favourite electronic acts dawn masks as well. Support in any form means the world to me! And a blog that can share with others is outstanding. I cannot express my gratitude fully through text unfortunately. Hail Baalberith. Drink heavy and die happy.